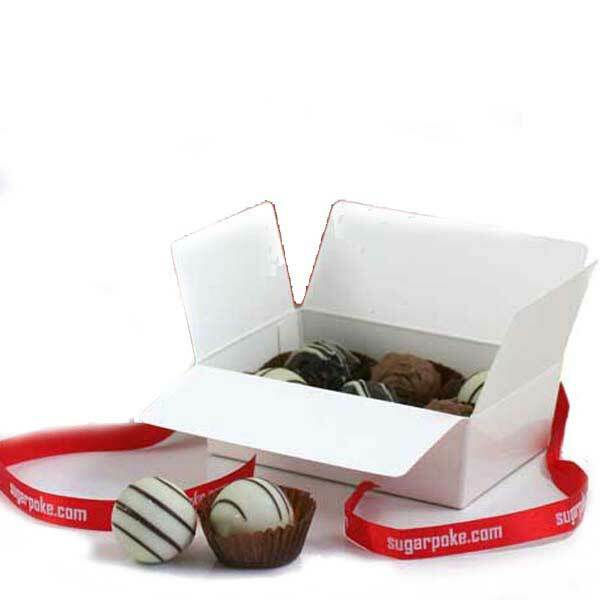 Truffle Shuffle - simply divine - an indulgent selection of yummy Belgian chocolate truffles with 2 x Champagne Truffles, 2 x Milk Praline Truffles & 2 x Dark Ganache Truffles in a glossy white ballotin finished with red ribbon. Totally trufflicious! Great for Father's day to treat dear old dad with! Makes a great birthday present too - it's definitely different to just a birthday card popping through the door and landing on the doormat!